Gut health is a hot topic but what does it mean? Discover the unfolding story of the trillions of bacteria that we live with everyday and how they determine everything about us. If we want to be the best we can be, avoid debilitating health conditions, then we really need to understand our gut bacteria and how they help us thrive. Heart disease, cancer, diabetes all have a gut health connection – everything does but so does longevity, better brain function and vitality. Learn the essentials of feeding your gut in order to thrive and be glorious. 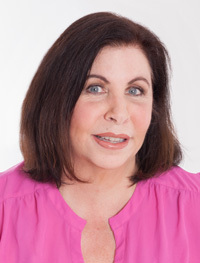 Lorene Sauro, B.A., R.H.N. spent 15 years as a celebrated pastry chef before personal and family health issues led to a journey from dessert magician to holistic nutritionist. As a registered holistic nutritionist and teacher at the Canadian School of Natural Nutrition, she has been guiding future holistic nutritionists for 18 years. In 2007, she co-founded the Canadian Holistic Nutrition Conference to help her fellow professionals have a forum to be together and deepened their knowledge. In 2009, she took this one step further and co-founded the Canadian Association of Holistic Nutrition Professionals (CAHN-Pro) in order to help the profession create strong standards and gain better recognition. Lorene has worked tirelessly support organic farmers and environmental causes, including to organizing Feast of Fields, an event to raise money for the organic industry, for 10 years. Working with clients and helping her family and herself, Lorene developed an in-depth gut health specialty, spending enormous hours reading research and developing an approach to eating that supports the gut but still allows for the total enjoyment of food. She is the author of A Pastry Queen Goes Green, a baking book where Lorene has put everything she ever knew about baking into one spot and it includes a holistic nutrition spin. She is also founder of the Healthy Gut program and the Healthy Hormone program for practitioners and the Simple Fermentation Online Workshop, for consumers. She currently combines her love of food and her nutrition knowledge to promote sustainable methods for growing and preparing food. As a writer and speaker, Lorene loves to communicate, through her website, programs and events, the information that consumers and practitioners need to help them get more from their food and enjoy their life.